Ahmadu Garba was born in Washington, DC to parents of Nigerian heritage. He grew up overseas and returned to the U.S for college where he received his B.A. at The George Washington University in Washington, DC. He fell in love with telling stories and decided to give his parents a heart attack and drop out of law school and move to LA to pursue a writing career. 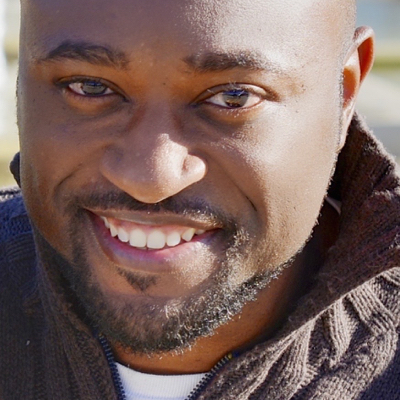 Ahmadu has worked on various projects as an editorial staff, including Universal Studio's 'Fast And The Furious: Tokyo Drift,''Serenity,'' and Warner Bros' 'Lucky You.' Ahmadu also worked on 'Two And A Half Men' and the pilot for 'Big Bang Theory.'' His feature script, 'Augustus,'' is currently a semi-finalist in the 2015 Nicholl Fellowship competition. Upon the assassination of his uncle, Julius Caesar, a young Octavius must avenge his death while everyone makes their play to control Rome. A historical epic that deftly manages to tell the story of Emperor Augustus and his rise to power. This script has something for everyone and throws you head first into a world filled with action, suspense, and drama. On top of that, deep themes on power and its ability to corrupt and reform guide this tale to its more than satisfying conclusion. A true sword and sandal blockbuster. THE BLACK FILES - Pilot. Action/Thriller. Dustin Fuller wakes up in a helicopter crash only to be hunted down by a group of mysterious men. After noticing changes in his biological make-up, Dustin must find out what happened to him and who's hunting him down. NIGHT ANGELS - feature. Drama/Thriller. Joelle, a woman on California death-row, reaches out to a famed journalist to tell a secret that she believes will uncover a deep conspiracy within the state government.